Many of us have memories of sitting around the kitchen table screaming “You sank my battleship!” at our sister. Or doing a silly dance when we landed on Park Place. Now you can enjoy the games of your youth and share them with your children on your iOS device with these board game apps. Everyone’s favorite word search game is available for your iPad. 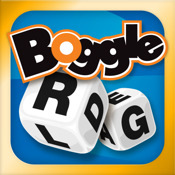 Shake your device to scramble the letters and play. The app has support from Dictionary.com, which helps vocabulary skills. Challenge friends to play and then track your achievements via Facebook. Play in three modes – Challenge, Advanced, and Self-Score – and earn rewards for certain achievements (such as longest word). $0.99. Be a winner at the Game of Life. 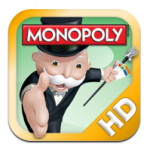 This family friendly game has been updated with HD graphics for your iPad. Also features custom and interactive graphics for added fun. You can play the app with up to six players or just play solo. Players can also customize the characters. The app includes a life journal that you can track your LIFE events. $6.99. Who doesn’t love a fun game of Monopoly? Now you can play the digital version with enhanced 3D graphics. It comes in two modes, Tabletop for multiplayers, which will allow you to play with up to three other people. The Teacher mode is where you play against the computer, but it will also give you tips and tricks. The Teacher mode also has four levels of difficulty. The game allows you to connect with up to three other players via WiFi or head-to-head via Bluetooth. $9.99. 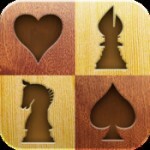 Play checkers, chess, backgammon, reversi (like Othello), go, poker, and various card games all within this one app. It features realistic game tables, boards and pieces. With the virtual deck of cards you can move, stack, flip and shuffle them. The app includes poker chips and a dealer button. Your games with auto save when you exit the app. Be warned, there are no game rules included. $0.99. Sink your friend’s battleships with the original naval game now on the iPad. Play the classic way or multiple modes, which include super weapons mode or multiplayer mode. Enjoy the dramatic 3D action with Hotseat, 2-player WiFi, bluetooth, and pass and play. This version of Battleship is fantastic for serious players, especially since you can earn super weapons, making bigger explosions. $4.99. 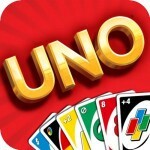 This classic card game comes in single and multi player. Drag and drop the cards on the touchscreen. Now the digital version can be played and customized with nine different rules. You can also play online with friends through WiFi. Players are able to play in “rooms”ƒ reserved for players of your level and in this mode you can customize your background. There is also a tournament mode you can play for a challenge. $0.99.